SEGANerds: Will there be any unlockable content in Journey of Dreams? Like with Christmas NiGHTS - you could unlock Sonic. 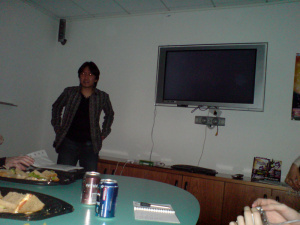 Takashi Iizuka: No, nothing more. I feel that we have implemented everything we wanted to. I think we did everything we could do with the Wiiâs features. Nintendo Life: [JOKES] Nothing more you could do. Perfect! NiGHTSintoDreams.com: Some people say that Bell Bridge (the games fictional setting), resembles parts of London. Is there any truth to this? And if so, why did you choose this setting? 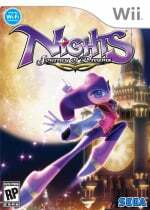 NiGHTSintoDreams.com: Why was Jackal not included in Journey of Dreams? Is the Chameleon boss meant to be a replacement? In addition, will we see Jackal again? Takashi Iizuka: [LAUGHS] Well really I like the character, but if we created all the characters again we would be looking at the same game. We only wanted to keep Wiseman. [LAUGHS] It is a new game. NiGHTSintoDreams.com: The second biggest mystery of NiGHTS! What did the deleted boss Selph look like? Apparently there was a deleted boss from the original game called Selph. Well the idea for the character existed, but he was never actually created. SEGANerds: NiGHTS used the Saturn's internal clock to add new game play/secrets to the game, depending on the date. Will the same feature be used in Journey of Dreams? Takashi Iizuka: [LAUGHS] It is being released in Japan, due to the high demand for the game. So there are no plans for a worldwide releaseâ¦ for now. As for Virtual Console there are no plans for a release either... for now. A HUGE thanks to Mike for writing that one up, if your too lazy to read through the transcript feel free to download the recording in MP3 format.